Registration Open 8:00 a.m.-7:00 p.m.
Indoor Vending Set up and Sales 8:00 a.m.-5:30 p.m. Outdoor Vendor Set up and Sales 8:00 a.m.-5:30 p.m.
Hospitality Open 8:30 a.m.-5:30 p.m.
Concours Participants Meeting 1:00 p.m.-2:00 p.m.
Cole Competitors Meeting 2:00 a.m.-2:30 p.m.
Concours Unit 6 2:00 p.m.-5:00 p.m. Newcomers Orientation 5:00 p.m.-5:30 p.m. Welcome Party 7:30 p.m.-9:00 p.m. 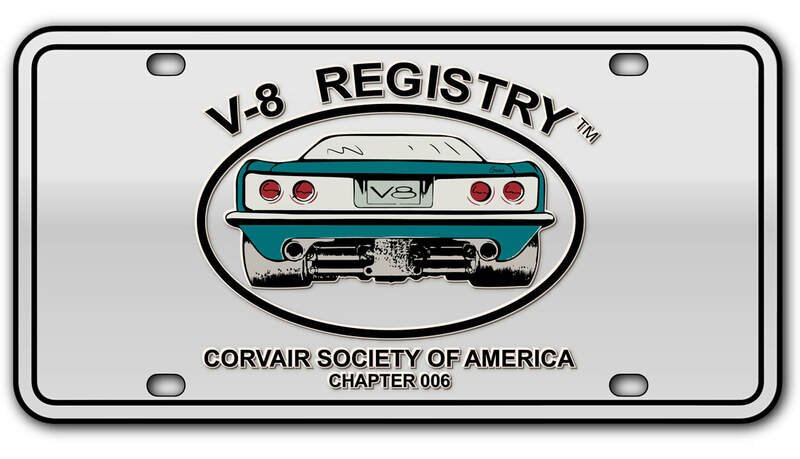 Valve Cover Races 8:00 p.m.-9:00 p.m.
Concours Set Up 6:30 a.m.-8:00 a.m.
Concours Unit 6 late entries 7:00 a.m.-7:30 a.m.
Hospitality Open 8:00 a.m.-6:00 p.m. Registration Open 8:00 a.m.-5:00 p.m.
Indoor/Outdoor Vendor Sales 8:30 a.m.-7:00 p.m.
Concours d’Elegance 9:00 a.m.-3:00 p.m.
Tour: WWI Museum 9:30 a.m.-2:00 p.m.
Tech Session: Rochester Carbs; Dawson 2:00 p.m.-3:30 p.m.
AirVairs Meeting 3:30 p.m.-4:30 p.m.
Model Car Set Up3:00 p.m.-5:00 p.m.
Ultra Van Chapter Meeting 4:30 p.m.-5:30 p.m.
Chapter Officers, Editors, Webmasters Meet 6:30 p.m.-7:30 p.m.
CPF Meeting 7:30 p.m.-8:00 p.m.
CORSA Annual Meeting 8:00 p.m.-9:00 p.m.
Corvanatics Meeting 9:00 p.m.-10:00 p.m.
EconoRun Participants Meeting 7:00 a.m.-7:15 a.m.
Rally Participants Meeting 7:15 a.m.-7:45 a.m.
Economy Run 8:00 a.m.-11:30 a.m.
Tour: Steamboat Arabia River Market 9:30 a.m.-2:00 p.m.
Road Rally 12:30 p.m.-4:00 p.m.
Autocross Tech Inspection 3:00 p.m.-5:00 p.m.
Banquet Table Assignments Chapters 3:30 p.m.-4:00 p.m.
Banquet Table Assignment Individuals 4:00 p.m.-5:00 p.m.
Tech Session: Classic Car Values 5:00 p.m.-6:00 p.m.
Tech Session: Electric Fuel Pumps; Claypool 6:00 p.m.-7:00 p.m.
Stock Corvair Group Meeting 7:00 p.m.-8:00 p.m.
Yenko Stinger Group Meeting 7:00 p.m.-8:00 p.m.
V-8 Registry Meeting 8:00 p.m.-9:00 p.m.
Internet Forum/Virtual Vairs9:00 p.m.-10:00 p.m.
Autocross Tech Inspection 7:30 a.m.-8:30 a.m.
Autocross Drivers Meeting 8:30 a.m.-8:45 a.m.
Hospitality Open 8:00 a.m.-2:30 p.m.
Tour: Truman Library & Frontier Trails Museum 8:30 a.m.-2:00 p.m.
Pre-Banquet Social Hour 5:30 p.m.-6:30 p.m. Awards Banquet 6:30 p.m.-9:30 p.m. Car Display Set Up 8:00 a.m.-9:00 a.m.
People’s Choice Car Display 9:00 a.m.-2:00 p.m.
Concours Mentoring Program 9:00 a.m.-Noon.